We are often asked at Red Rag about buying Irish Art and Irish Artists for Investment. The answer is always the same. We recommend buying contemporary Irish Art because you like it - not as an investment. But there has been an increase in values for modern and contemporary Irish art works from both living and dead artists. And, we know this provides some of our Irish art collectors with a positive incremental feeling of enjoyment towards the art works they have purchased. So we have put together what we hope are some helpful Red Rag hints and tips about investing in Irish art. The art world is notoriously difficult to understand. But like other forms of investment the more you know ' the better the likely return. So make sure you commit plenty of time. Understanding the present day Irish Artist market in which Red Rag specialises is a sizeable task. If you extend your area of interest further to the art works of dead Irish Artists or British or Scottish artists the task becomes immense. Ideally you should focus on specific niches and get to know as much about the subject as possible. Apart from regular and diligent research through books, magazines and Internet you should visit as many art exhibitions as possible. At Art Galleries use the opportunity of asking both gallery staff and exhibiting artists about areas which interest you. The overriding criteria should be to choose art you like. That way you are more likely to make a greater commitment to understand it. Even then knowing exactly what you are looking for is not easy. This is because the art market is so large and diverse you need to limit your initial search to a manageable size. This will vary from person to person but even if you decide to concentrate on present day living Irish Artists there is more segmentation needed. For example: Geographic areas- do you wish to focus on Irish Artists or Scottish artists, English artists, Welsh Artists or other nationalities. Then there is the type of art genre: Figures, Portrait, Marine, Realism and Conceptual Art; Type of Paintings ' Oil, Acrylic, Watercolour or Drawings. It might appear attractive to buy young unknown Irish Artists before their paintings rocket in value ' but the odds of success and often quality of the art make it a high risk strategy. Remember the best art by artists whether they are established or emerging is likely to appreciate more in value then inferior work by the same artist. So buy the best art you can afford ' preferably by the best (proven and established) artists. It is always advisable to buy quality art with original framing. 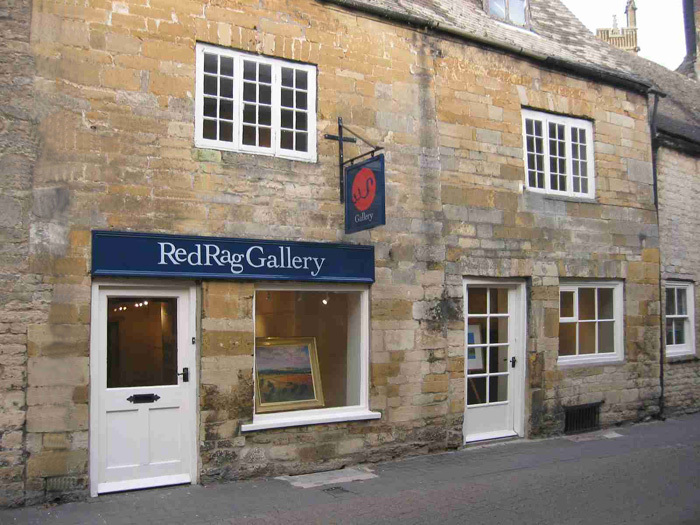 All Red Rag Irish Art comes direct from the artist's studio ' but if you are going to buy older art remember to look for any damage. Paintings can be repaired but value will be enhanced and better maintained by paintings in pristine condition. Most artists will paint hundreds of paintings over their lifetime. Their art styles and subjects may vary enormously. Buying art for investment means you need to know what are typical benchmark paintings for each artist. For example: a leading Irish portrait painter may have painted many subjects, but a painting of the King or Queen is likely to be more valuable than a portrait of the artist's next door neighbour, or of a Landscape painting by the same artist. You will also probably find Oil paintings by an artist to be much more collectible and valuable than watercolour paintings by the same artist. Looking at a contemporary painting on a price per square inch basis you will find small Irish Art paintings are priced higher than larger paintings. The major reason for this is to do with market demand. There are always more art buyers who have the budget and physical space in their art collection for small paintings than larger paintings. Finally Look after your Investment ' it pays to look after your Irish Art. In the long term attrition is one of the basic reasons why paintings and sculptures increase in value. Eventually fewer items survive and those that have survived usually deteriorate. If you look after your Irish Art investment and take care of it, then it will fetch more than the average in the future.